Keep your Xperia C3 safe when you’re on the move. This smart booklet-style cover wakes your device when you flip open the cover and puts it into sleep mode when you close it. Use the Style Cover Stand SCR15 as a convenient desk stand with adjustable viewing angle, at home or at your favourite café. Browse, communicate and enjoy Xperia C3 entertainment in comfort. 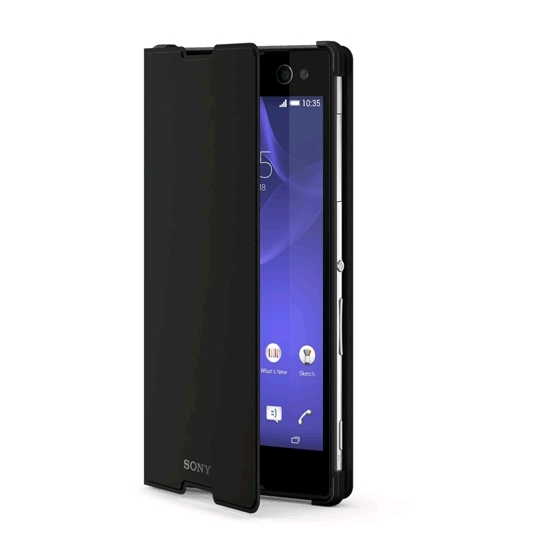 The SCR15 is designed to reflect the slimline elegance of your Xperia C3. Perfect fit. Premium look and feel.